War can often be quite unpredictable with soldiers constantly facing random attacks. 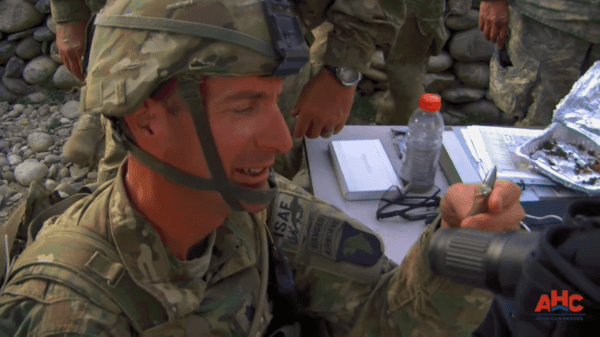 In the video below, US soldiers stood around their post while CSM Chris Fields looked through a binocular towards a nearby mountain in search of the Taliban snipers who they suspected were in the area. The American soldiers were not about to let the enemy get away with firing sniper rounds on them. After precisely locating the enemy, the soldiers had the 50-cal gunner shoot to spot the area. The initial shots were immediately successful with one of the enemy soldiers suffering from a hit to his leg. The US soldiers weren’t done yet and wanted to teach these Taliban snipers a lesson. After firing several more shots at the enemies, they called in aircraft to drop bombs on them. Almost out of nowhere, an aircraft appeared and dropped a massive freedom bomb on the location where the Taliban snipers were nestled. One bombing wasn’t enough though for the American soldiers and as they decided to drop an additional bomb to make sure that they made a statement. The aircraft then returned and dropped the bomb where the previous one was dropped. 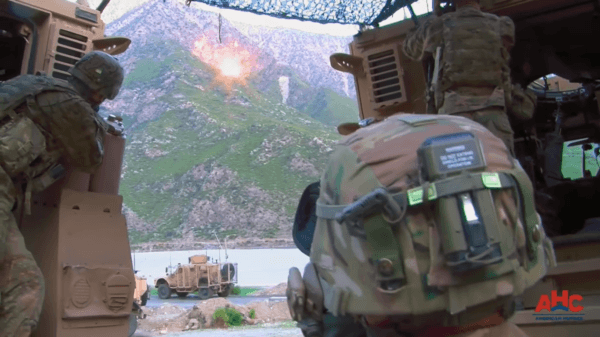 The American soldiers responded aggressively to these Taliban snipers because they wanted to set a precedent to discourage the snipers from ever attacking them again. After the bombing session was complete, the US soldiers had a chance to reflect on what happened. The interviewer asked what it was like having a sniper round land just feet away from his head and the soldier then described the experience as sounding like “a bee” buzzing by his head.